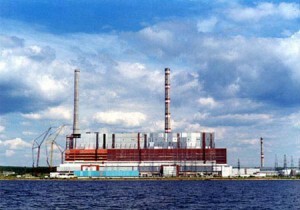 The Permskaya State District Power Plant embarked on the large-scale repair campaign scheduled for 2012. All he three generating units are to be reconstructed and modernized. The first generating unit to be repaired is generating unit #2. The power engineers will need about a month to repair the thermal and electrical equipment, and April will see the repairs at the generating unit # 1, where all the hot reheat pipelines will be replaced. Besides, the turbine set is to be fully modernized: the medium pressure rotors, center casing of cylinders are to be replaced, new honeycomb shroud seals are to be installed and the new scheme of forced steam cooling of the medium pressure rotor is to be introduced. As to the repairs at the generating set # 3, it will start in May: the main focus here is to be concentrated on the capital overhaul of the transformer. The repair campaign at the Premskaya state district power plant is scheduled to be completed by the end of October 2012.